Dr Cassandra A, Ogden and Stephen Wakeman (Editors), Corporeality: The Body and Society, 2013, ISBN 978-1-905929-97-9, £12.99. Regardless of how a person spends her or his day, in a classroom, in work or outside employment, whatever our thoughts, beliefs and experiences of life, all living is embodied. We are of and within our bodies. During the last thirty years, social scientists have increasingly turned their attention to the body as a site of both theoretical engagement and empirical exploration. Recently, public discourse has also become preoccupied with embodied debates: the 'obesity crisis' and the London 2012 Paralympics have located the body firmly in the realm of public interest. The new essays collected in Corporeality: The Body and Society demonstrate some of the unique advantages attainable through studying the body sociologically. Focusing in on a series of embodied fields related to lifestyle media, war, disability, drugs and mental health, the book re-states the fundamental importance of a body-centered approach in the social sciences. Work by established experts in the field sits side by side with new voices to provide an accessible and stimulating snap-shot of the role of the body in society in the early twenty-first century. 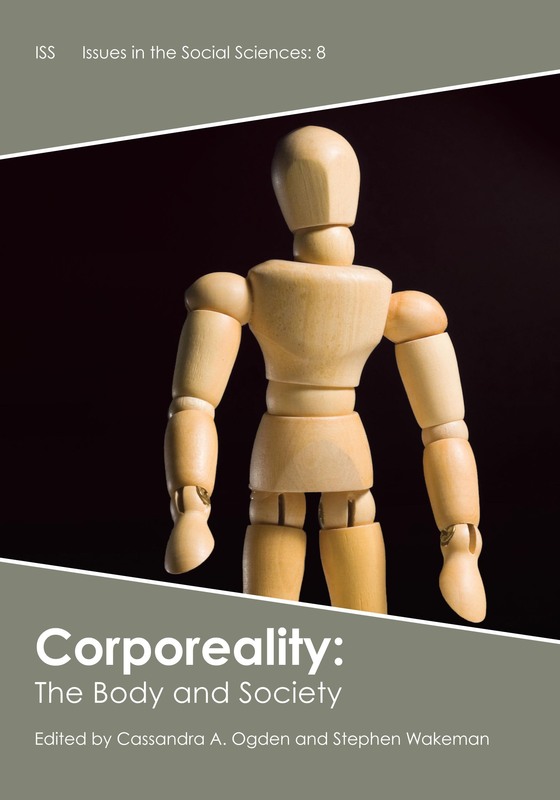 Corporeality: The Body and Society (edited by Cassandra A. Ogden and Steve Wakeman), by Steven Robertson (Leeds Metropolitan University) in Sociology of Health & Illness, 2013, Vol. 35, No. 6, pp. 972-973. The stated aim of the editors is to bring together work that helps reassert the centrality of the body in ‘late-modern social thought’ and they certainly make a useful contribution in this regard. The book helps make ‘embodiment’ contemporary, as the majority of the chapters are embedded in recent empirical work or built on discussions of current events. The eclectic nature of the book demonstrates the range of issues that careful attention to embodiment can help elucidate. However, I suspect that few people would find it useful in its entirety – though, for those willing to make the effort, it offers some interesting and possibly unexpected gems. For sociology academics and students—particularly those who are teaching or studying modules on ‘the sociology of the body’ at undergraduate or postgraduate level —this work will certainly be a useful addition to the bookshelf. For many others, specific sections and chapters relating to particular areas of interest will be worth reading.